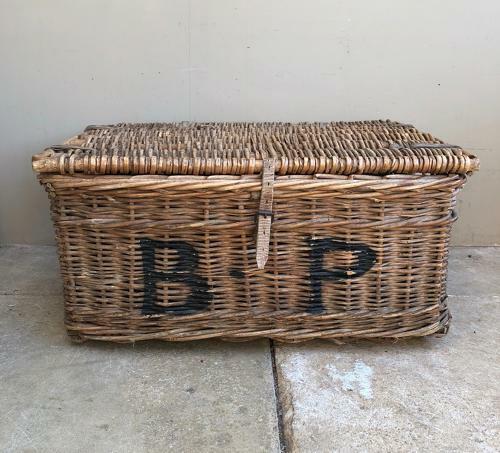 Early 20th Century Leather Bound Laundry Basket - B.P. Early 20th Century Wicker Leather Bound Laundry Basket with its Original Strap to the front. Handy Size.. B. P. to the front and each side 596 which was its number. Good condition. Wooden Slats on the base...No worm.